Morocco, one of US major ally in the region, has a comprehensive counterterrorism strategy that includes vigilant security measures, regional and international cooperation, and counter-radicalization policies, says US annual country report 2016. The Moroccan government has treated counterterrorism as a top priority since the country experienced suicide bombing attacks in Casablanca in 2003, and that focus has been reinforced by attacks in 2007 and 2011, adds the document. In 2016, Morocco’s counterterrorism efforts “effectively mitigated the risk of terrorism, although the country continued to face threats, largely from small, independent violent extremist cells”, stresses the report, noting that the majority of the cells claimed to be inspired by or affiliated with ISIS. During the year, Moroccan security services reported the disruption of multiple groups with ties to international networks that included ISIS, al-Qaida in the Islamic Maghreb (AQIM), and al-Nusrah Front (al‑Qaida’s affiliate in Syria), says the US Department document. Moroccan security forces dismantled 18 terrorist cells and conducted 161 terrorism-related arrests in 2016, including of Algerian, Chadian, French, and Italian nationals. The government remained concerned about the potential return of Moroccan foreign terrorist fighters who could conduct attacks at home or potentially in Western Europe. As a result of increased international cooperation and vigilance by Moroccan authorities, only a few Moroccans departed for Iraq or Syria in 2016, says the report, recalling that the North African Kingdom is a founding member of the Global Counterterrorism Forum (GCTF) and the Global Coalition to Defeat ISIS, and participates in all of the Coalition Working Groups. In April 2016, Morocco took over the GCTF co-chair role from Turkey. Morocco and the Netherlands serve as GCTF co-chairs and the co-chairs of the GCTF Foreign Terrorist Fighters Working Group. In 2003, Morocco enacted comprehensive counterterrorism legislation and in 2015, it expanded existing legislation to address the foreign terrorist fighter threat by widening the definition of terrorist offenses to cover terrorist acts or attempts to join a terrorist group and involvement in recruitment and training activities, making it compliant with UN Security Council resolution (UNSCR) 2178 (2014). This law also extended the jurisdiction of national courts to allow the prosecution of foreign nationals who commit terrorist crimes outside Morocco if they are present on Moroccan soil. Moroccan law enforcement units aggressively targeted and effectively dismantled terrorist cells within the country by leveraging intelligence collection, police work, and collaboration with regional and international partners. 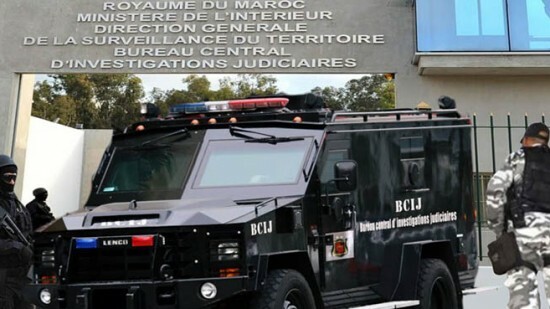 The US State Department report describes the Moroccan Central Bureau of Judicial Investigation (BCIJ), a central institution established in 2015, as the primary law enforcement agency responsible for counterterrorism law enforcement. Reporting to the General Directorate for Territorial Surveillance (DGST), the BCIJ (equivalent of FBI) operates under the supervision of the public prosecutor of the Court of Appeals. Morocco continued to participate in the Department of State’s Antiterrorism Assistance program to support the development of Moroccan law enforcement expertise in the areas of crisis management, border security, and terrorism investigations, and to strengthen regional counterterrorism capabilities to deny space to terrorists and terrorist networks. Under the Trilateral Initiative framework, in 2016 the Governments of Morocco and the United States hosted a course in critical incident management for members of the Senegalese security services. Morocco also continued to partner with the United States to improve the police criminal investigation process through the development and implementation of chain of custody and evidence management procedures; forensic evidence collection and analysis, including DNA analysis; and mentoring and training. Morocco participated in GCTF and Department of Justice programs to improve technical investigative training for police and prosecutors. DGSN, Moroccan Customs, and the Royal Gendarmerie were active partners and participants in DHS‑sponsored training events on border security and financial investigation, the report stated. The document also recalled that Moroccan government officials participated in several US Federal Bureau of Investigation-led courses to improve capacity in intelligence analysis and cybersecurity. Written by: Peter Mulvany on July 20, 2017. Posted by Peter Mulvany on Jul 20 2017. Filed under Headlines, World News. You can follow any responses to this entry through the RSS 2.0. Both comments and pings are currently closed.